NOTE- The Black Friday special offer at Wealthy Affiliate is ONLY valid until the 26th November! What value would you put on living your dream lifestyle? Imagine waking up with a smile on your face EVERY morning. Imagine choosing what to do with your time each day. I’m going to share my story with you and the reasons why I have just signed up to Wealthy Affiliate for a year. There are no upsells… It is simply a place to discover how to make money online to replace your income and make more money than you ever thought possible. I’m Mike from sunny Essex in England, now living and teaching in ACTUAL sunny Qatar. I started blogging in August 2017 for giggles. I had NO idea it was actually a thing that real people do. The more I blogged, the more people I spoke to that were in this “blogging world”. The more I found out that people were making money from this… like serious life-changing “never work another day in a job” money. I started using Wealthy Affiliate about 2 months ago after trying numerous “make money online courses” aka SCAMS. I have just taken advantage of the Black Friday offer and joined for the year. 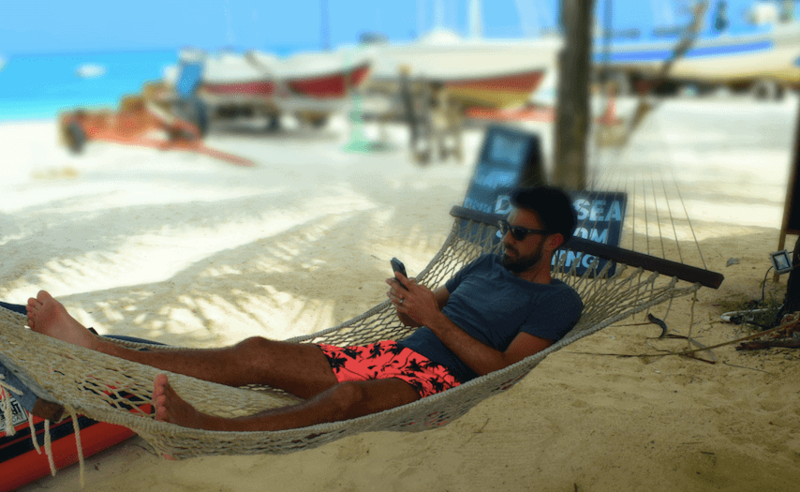 But yes, this is me working on my website last month in Zanzibar! It’s not easy, it does take time and there are challenges along the way. I know it’s not much. But what this has done is prove to me it’s possible. I was having a meal with Sarah and my parents, who had surprised me with a visit to Qatar for my 30th birthday when someone bought the book through my link. It was 100% passive income. I’ll tell you what has happened in the last couple of months though… My learning has gone through the roof! 3.75 billion people currently spend money online and this number is growing. As you will find out by reading on… Wealthy Affiliate literally has everything you will ever need to succeed in the online game. So the only thing that will hold you back from succeeding in the online world is… YOU! Wealthy Affiliate puts all the tools, training and people you need to succeed in one place. So your TIME and EFFORT can be spent MUCH better. 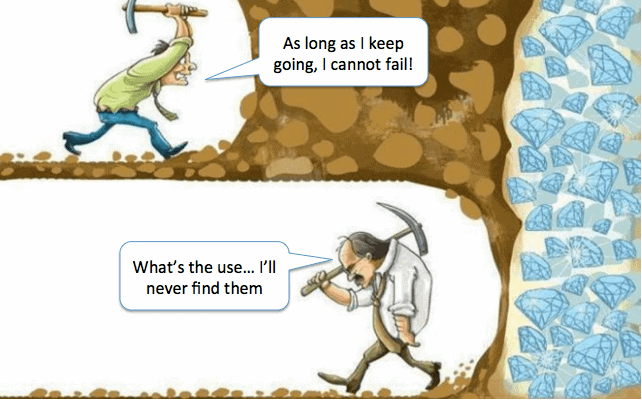 How Much Time is Needed for Success? Have you ever heard the story about the two men digging for diamonds? The big guy, Lenny, was smashing his way through the ground with his pickaxe. After digging for hours he was shattered. He could taste the dirt and he had become deafened by the BANGING noise. Eventually, he decided enough was enough and turned back… he never did find out how close he came to finding those diamonds. Carl was a determined little bugger. He knew that there were diamonds in the area and it was only a matter of time until he found them. As long as he kept digging he eventually would get hold of them. It has been proven that 1 YEAR is needed to give ANY business a solid foundation. In the story above you could be just like Lenny and turn around just before you strike gold. If you don’t build the foundations, your website will be more vulnerable than a blockbuster video store. By committing to a year with Wealthy Affiliate you are holding yourself ACCOUNTABLE to stick with it for at least a year. It’s so EASY to get distracted by the shiny object and have a flutter with Cryptocurrencies or the new Network Marketing program. However, committing to a year gives you an EXCELLENT chance of actually building the foundation your online business needs to flourish. Rumour has it that Wealthy Affiliate is the best thing since sliced bacon. Personally, I find the step-by-step training monkey-simple and great for focusing on what I need to do. Plus the community is PRICELESS. If you have a question, someone will answer it… and give you personal feedback, a kick up the bum, advice or whatever you need. Kyle DOES NOT do these very often… in fact, this is only his 3rd Live Video Class EVER. He will use his 17 years experience online to show you what he believes is the Secret Sauce to success. Plus there will be a Q & A part so you can get any questions answered by the founder of Wealthy Affiliate himself. This “White Paper” style PDF has actionable tasks that you can start using to become a thriving expert within the online world. 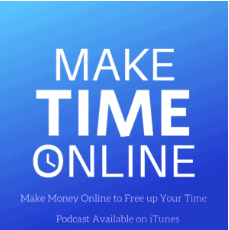 Find out the shortcuts that can help you save months of time and $1000’s of dollars in your business. You will get an exclusive insider look into the new platforms that will be released on Wealthy Affiliate in 2019. I recently interviewed 25 bloggers about why they started their online business. How my mentor made $7,000 last month (he started 4 years ago). How another Wealthy Affiliate member earns 6 figures PER MONTH. How another member earnt her first commission after 22 days of her blog with ZERO prior experience. 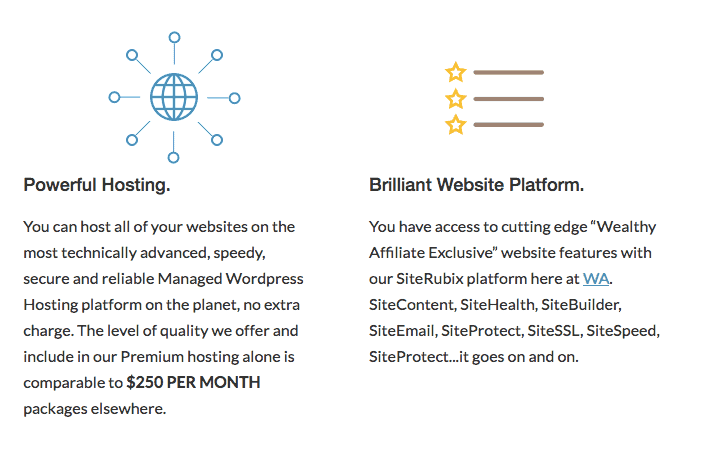 The HOSTING is sooooo POWERFUL at Wealthy Affiliate- comparable hosting services are more than $250 per month alone! Things stay FRESH and up to date– the live seminars and 10,000’s of daily interactions means the information is always current. Join now… It costs just $0.82 per day and the TIME and EFFORT potentially saved by using this program is unlimited. Do you have a passion or know what your online niche will be in but haven’t started a website yet? Joining Wealthy Affiliate is a great way to hold yourself accountable. Plus you will receive instant support from people in the community (including myself and I can introduce you to people that have been using it for years who have really helped me). Read “How to find your online niche“. But do NOT delay! The Black Friday discount (which saves 49% compared to paying monthly) will end on the 26th November. If you don’t try something new, then expect the same results. Take advantage of this offer today. 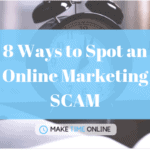 Real inspiring read, I have been thinking about taking the plunge into online marketing for awhile but have been hesitate about joining certain systems as a lot seem to come with warnings of scam’s, I have heard of wealth affiliate before but was also not sure if it was a fake or not, looking throw your website I can see you have had much success with the system, I really do want to change my current life system and become my own boss so this offer might just be the one I have been looking for. It really is a great platform. I haven’t seen or heard of anything where it has everything you need in one place before. Wealthy Affiliate is a great platform to learn the online business. Definitely, I will utilize this great offer today and get the premium membership. Thanks for highlighting the bonus provided by WA. Hi Thanks for the post Mike , I was just wondering if there are any upsells that are necessary to purchase after the initial cost of the membership ? Great question… Absolutely no upsells. The price you see is the price you pay. This is one of the best discounts I have ever seen considering it’s going towards your future and financial solutions. I’m always looking for ways to make more money and the Wealthy Affiliate system looks like the way to go! And those success stories are just mind blowing. Thanks a lot for the inspiration! 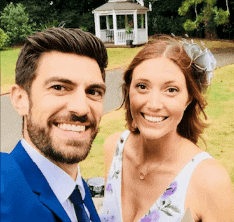 Yeah, Wealthy Affiliate is a great place to learn and connect with a community. It’s obviously still a lot of work to become successful because it’s definitely not a “plug in a play” system. Obviously, that doesn’t exist but some courses do make it seem like they offer that. WA is great, isn’t it! I really wish someone had pointed me in their direction sooner as I feel like I have been wasting so much time before I started with them. The discount is great, I think it’s the way to use the platform all the time. You said hosting is really good but I wonder does it offer good protection for larger sites. I am thinking of building a site, which has thousands of graphics. Do you think will it be fast enough? Funny you ask that I have just been tidying up my site and improving the site speed by compressing some pictures etc. Also, you can edit pics on WordPress. A normal pic from my iPhone has a normal size of 3000 x 2000. For a website pics only need to be 640 x 480 and this is still more than high enough quality. The hosting is great but the best part is that the platform TEACHES YOU how to be smarter about loading speeds etc. and shows the best plugins to use to improve this. I just watched a couple of videos created by other WA members about this and they were super helpful. You snooze you lose. Heres a tip -don’t snooze! With so much money being thrown around this time of year, know is your chance to INVEST a little in yourself. Be someone who makes money during the holiday season instead of spending it. You can start your own money making blog, and earn a piece of that pie. I personally take advantage of this Black Friday deal every year. Before I joined Wealthy Affiliate, I didn’t know anything about how to make money online or how to make a blog. Best tip I’ve heard all day! It’s so great to hear that you’ve had success from Wealthy Affiliate and I hope you’ve got as much out of it as I have so far! I honestly can’t believe how much there is on the website and the support is amazing. Hi, Mike. This doesn’t get any better. I stumbled upon Wealthy Affiliate some time ago, and I love being a paid-up member. I love the things I learned and pleased when I put what I have been taught into practice and get real results. These little steps continually, encourage me to make significant strides into the world of affiliate marketing. It’s a great place to be! Paul. It certainly is a great place to be! I have been blown away by the training and support so far from people like minded like yourself. If there’s anything I can do to help you out please just give me a holla! Yea I heard about this offer. That is just awesome because this offer can really save a lot of money for so many people. I’m in Canada so for one month I’m paying $70 and this offer is just $299 for a year. This offer is almost saving me $600 and also commits me for a year which can motivate me to work harder on my websites. This is a great deal for me personally and I would recommend everyone to upgrade to this. I really appreciate that you are sharing this with everyone. You’re right it really does save a huge amount of money over the course of a year, especially if you were to pay for it on a monthly basis. The commitment to stick with your website is possibly the best part about upgrading for a whole year. It really gives your sites a great chance of succeeding. Nice. Your article is inspiring. And congrats on earning your first affiliate commission. Proof that it is possible with patience and hard work. As a member of WA I can attest to all the training we have at our fingertips as a premium member. And new training is being created all the time. Thanks so much for your comments it means a lot. It really has been an amazing journey for me up to now and I’m sure I will look back at this time as a life changing moment. I wish you all the best with your business and WA. Great article and great advice. This discount is absolutely fantastic. I haven’t done it yet, but I will before the 26th. 7 Factor “Secret Sauce” White Paper. The list goes on and on. What a fantastic platform you outline. I have thoroughly enjoyed the training and everything so far they have to offer. It really is a great offer especially compared to what the cost would be when you pay $49 a month! I can’t believe the value that this website has added to myself and my online business. Let me know if you have any questions about upgrading. Mike, hello! You are very well created the theme of Black Friday in WA. I want to ask you: your passive income is obtained from affiliate marketing? Or do you have an informational blog? What product are you promoting on your site now? My small passive income came through an affiliate link for a book I recommended. The website you are on is the online business I am currently working on. I’m an affiliate for Wealthy Affiliate as well as some other programs such as Bluehost and a range of books on Amazon Associates. I am currently focusing on learning and sharing any value I gain as I go. The last thing I’d want is for this website to become salesy or pushy. I only promote products that I use and am delighted with. Thanks so much for your questions, please do let me know if you have any more. Now this is the kind of black friday sale that i think is awesome. Not only do you get a killer deal on an awesome community like wealthy affilaite but those bonuses look very awesome. Will definitely be adding this to my list of things to buy today! Thank you so much and for putting together the bonuses! It will without a doubt be up there with the best items on that list! Please do let me know if you have any questions about the program. Wealthy Affiliate is probably the best affiliate marketing platform out there and I’m really looking forward to 2019. So many new things will be added and it’s going to be a great time of growth for my online businesses. From my experience Wealthy Affiliate has taught me so many things that are applicable to other businesses and not just affiliate marketing. Definitely jump in now and get that discount! You are so right about the lessons being applicable to other businesses too! I’ve always enjoyed reading around the topic but with WA I am actually taking BIG ACTION every day. It’s such a great way to learn and engage in something that you are passionate about. Hi Mike thanks for sharing your story, it is always good to here something that is realistic and tells people up front that there is a lot of work involved with Wealthy Affiliate. That is exactly what drew me to Wealthy Affiliate and got me started, today is the best value for someone who is looking at joining Wealthy Affiliate or is interested in building a website and just needs the necessary training to accomplish that. For those who are on the fence, you will be amazed at what you can accomplish with the assistance from the Wealthy Affiliate training and your efforts. Also there is an awesome community that is willing to help you succeed! Yep you’re so right. It is a LOT of work still. People should NOT join this if they are expecting to sign up and see money roll into their bank account. It requires TIME and EFFORT to follow the training and set up a successful online business. The best thing is that you are in complete control over how much of this you put in. The lessons you will learn are second to none and this is the BEST value you will be able to buy the course. I agree with everything you’ve said about Wealthy Affiliate! I joined a little while back as a free member and was blown away with how much the courses and community there has taught me. I ended up upgrading to the yearly membership because I wanted the extra training and felt it was worth it. Haven’t regretted it since! You are so right! There is so much great stuff with Wealthy Affiliate even for free. It really is a risk free way to try it out. Something I have learnt in recent years is that when I have some skin in the game I am much more likely to take it seriously and keep with it when things get tough. I hope you’re enjoying the training. Hi Mike just a short note that roaming over the internet I found your site. I too am a WA member in Canada and I find it intriguing you are from England, I know that WA members are from all over the world I have friends in Spain Holland, Africa, France, Belguim, Germany and they are WA members have access to there website but this is the first time I have come across a WA Member without looking for it. For all you guys that are looking to get into their own internet business, this is the spot to come. You don’t need to promote WA you can build your passion as I have done. You are so right there too. With Wealthy Affiliate, you do NOT need to promote Wealthy Affiliate to earn an income. It teaches you how to use your own passion or interest to make an income online. Hi Mike, I took the advantage of the WA black friday and don’t regret it. 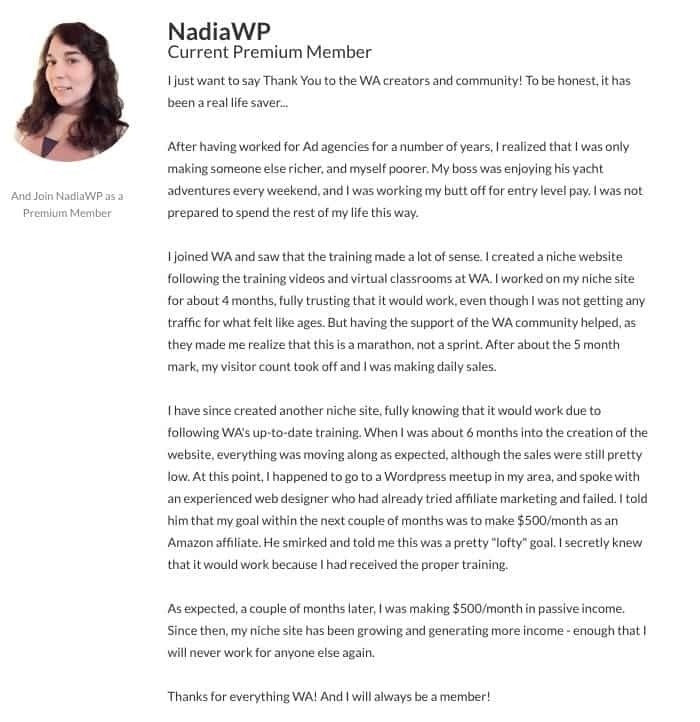 I am a happy member since 2015 when I had absolutely no idea how to start a website and make money from it. I didn’t even know what affiliate marketing was. Now I am in a position where I can afford to quit my job and I will very soon. Thanks to WA i learned all the important aspects of interet marketing and how to buold a strong foundation. It’s an excellent platform that I recomment to anyone who dreams about time and location freedom. All the best and good luck with your business. Yep, I can’t agree more. For me, Wealthy Affiliate offers me the chance to do something that I love and have a real enthusiasm for, whilst working on my own schedule and to live align to my personal mission statement of “help others live the life they want by showing them it is possible”. Hey Mike! How are you? 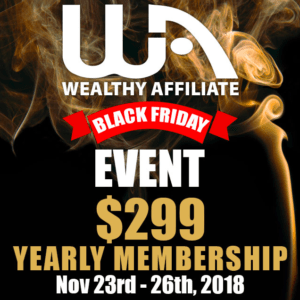 This post is just amazing as it contains lots of valuable information regarding the Black Friday Sale at Wealthy Affiliate. 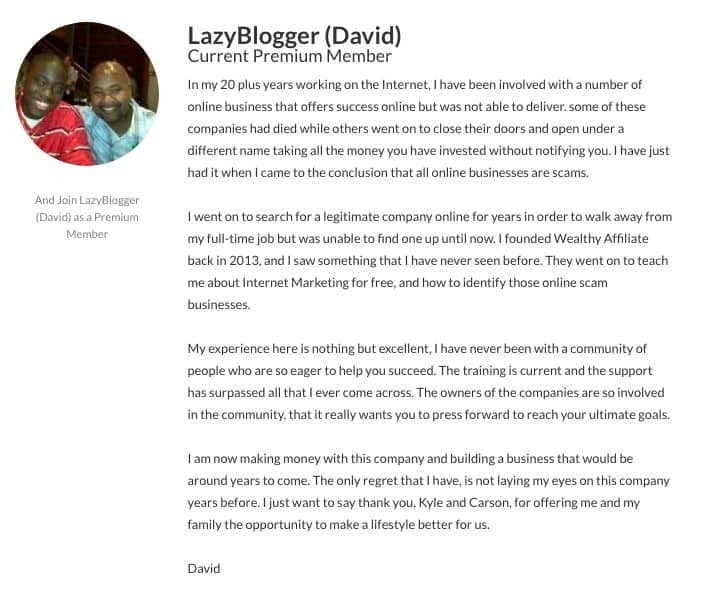 I’ve been a premium member here at Wealthy Affiliate for 4 consecutive months. 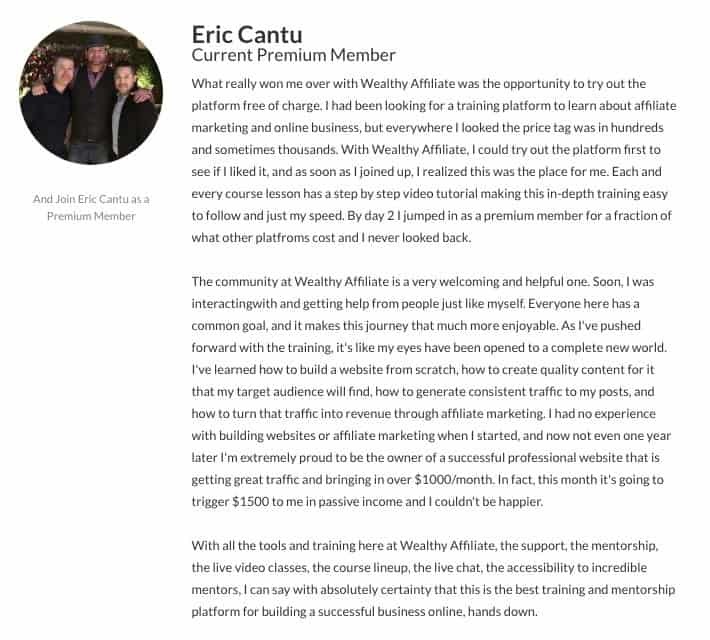 Being at Wealthy Affiliate will provide you with a stunning experience as the community is very helpful and I guarantee that you won’t be upset by taking this move. Thanks a lot for taking your precious time in writing this blog post. It sounds like you have been using it for a bit longer than myself then. I can’t believe how much value I’ve got from it so far and it just keeps providing it each day! I am very skeptical about joining an online course promising to give me all the necessary tools to succeed but after joining Wealthy Affiliate in June 2017 as a monthly premium member I never looked back and actually just made the commitment to go yearly with the Black Friday deal. WA is too good to be true and if you keep working hard and apply the training you learn here you can definitely make it online. The great thing about going yearly on Black Friday is that you will renew in 2019 on Black Friday again. It is a great deal for anyone who wants to get into inline marketing. You make a great point that you’ll be able to renew on NEXT years black Friday… so you’ll always get the discount!! AWESOME! I hope you’re finding it as useful as I am. It gives me such a well needed kick up the bum to keep taking action! 1) Why did you wait so long before signing up for the yearly membership at WA? 2) What do you think could still be improved at WA? 1. I actually signed up 6 days in… when I started I knew I wanted to take this more seriously but I had been “stung” a few times from previous courses… when I heard this had a FREE version I jumped on it. I wasn’t planning on going paid straight away but I learnt so much in those 6 days that I thought it was worth $19 for one month. 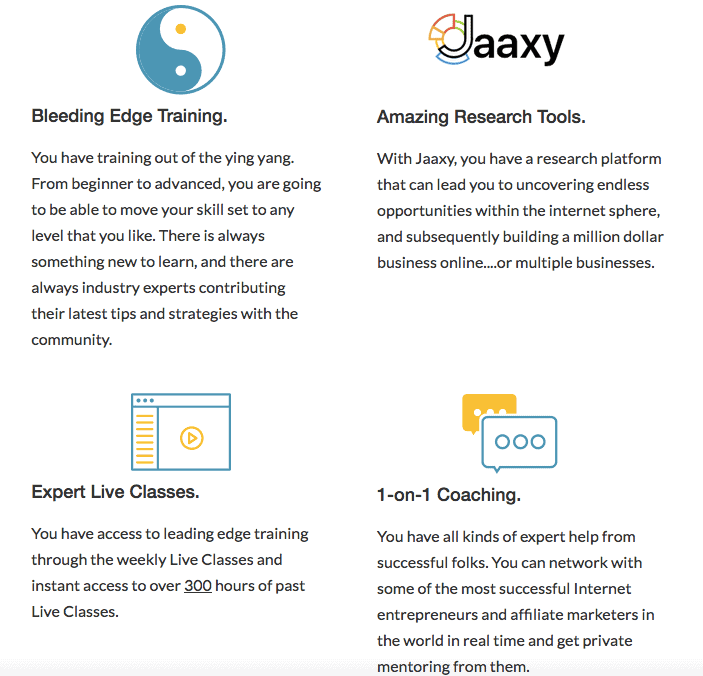 The more I learn the more I realise how important this is and whilst there seems to be some live classes from Jay (that do look quite good so far) , there is not as much depth or EMPHASIS on this as I would expect. I haven’t finished all the training yet so hopefully I will be pleasantly surprised about this soon. Thanks for sharing your story. It is story like this one that makes me keep going. I am also a website owner and yes, sometimes the ‘going get rough’, but I am touch and I keep going. Wealthy Affiliate does have an amazing educational platform with up-to-date information at your fingertips. You just need to apply yourself and watch things fall into place and of course, being patient is a good thing. 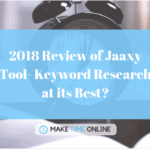 As a website owner, we all dream of ‘living the laptop lifestyle’ and it is possible – with the right tools, mindset, and action-oriented character. I wish you continued success and yes, this is one Black Friday Sale I intend to check out! Thanks so much for your ind words! I hope you keep on keeping on too! It’s such a good platform that I don’t ever want to OVER sell it as it does all the selling it needs to when people sign up for FREE! I just wish I found it sooner! Awesome story I love it. That is an inspiration to us all! Hi Mike, thanks for sharing your story and other WA members success stories. I like that you’re honest about what is involved in WA and what it really takes to make money online. It’s not easy, but with determination, hard work, and the right training platform, it can be done. It’s great to meet people on a similar journey. If you had to choose one thing about WA that makes it awesome what would it be? Wow, love your backstory. Thank for inspiring us. I’m a fellow entrepreneur and exploring alternative source of income. What you have shared about Wealthy Affiliate is worth my consideration. Thanks again.